2019 BMW 3 Series review – price, specs and release date | What Car? The BMW 3 Series has traditionally been the default choice for keen drivers in the executive saloon market, thanks to its combination of strong engines and fun handling. However, it has been usurped on that front in recent years by new rivals such as the Alfa Romeo Giulia and Jaguar XE, while the more rounded Audi A4 has cemented itself in the position of class leader. 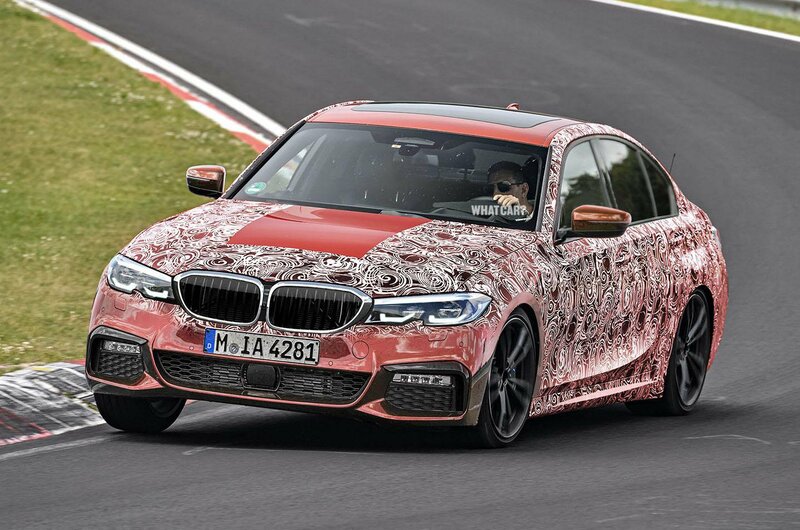 So, in an effort to reassert its old dominance, BMW has made this new, seventh-generation 3 Series is a little bit larger, lighter and safer than the outgoing model by moving it onto the same basic underpinnings as those of the larger 5 Series and 7 Series saloons. 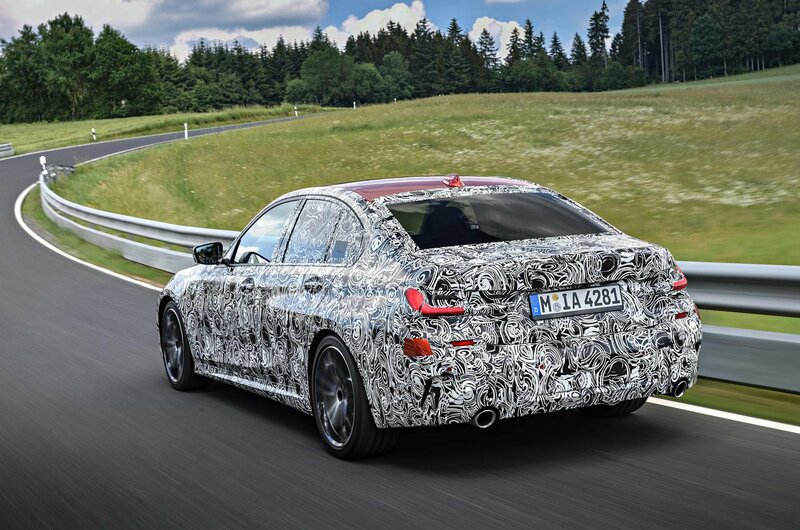 It’ll have a more spacious interior, too, with plenty of new technology, while fans of Audi’s Virtual Cockpit fully digital instrument cluster should note that a similar system will be available as an option on the 3 Series for the first time. However, the most telling changes for the car are to its oily bits. 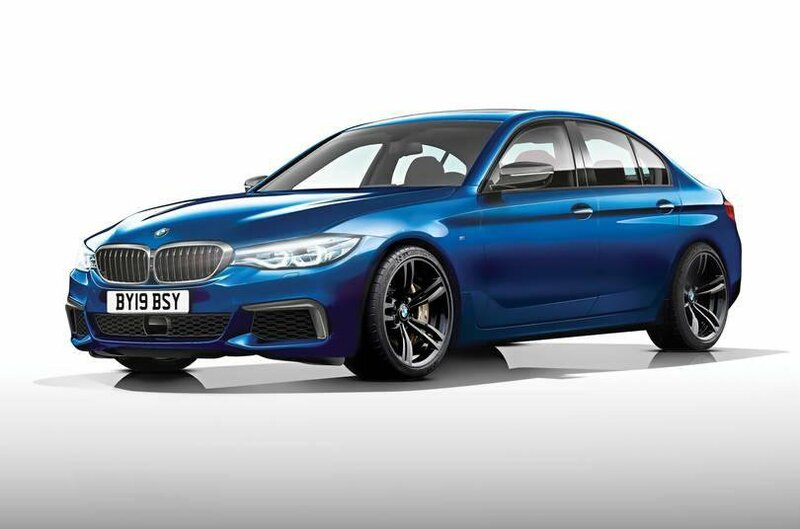 New or revised suspension components, steering, engines and gearboxes are all intended to make it handle even better and be a more engaging driver’s car, particularly in the M Sport trim that most 3 Series buyers choose. Because this is an early drive of a development car, exact specification and specific improvements on things like exhaust emissions and fuel economy aren’t yet available. But BMW insiders suggest that the power and torque gains relevant to the 2.0-litre turbocharged 330i M Sport prototype tested here – improvements of 7bhp and 37lb ft over the outgoing model – are a trustworthy guide of what to expect across the whole 3 Series engine range, which includes a wider choice of petrol, diesel and hybrid power than what you get in most rivals. To give you an idea of the spread on offer, engines are likely to range from a 114bhp 316d diesel and 134bhp 318i petrol options, all the way up to include a 300bhp 3.0-litre diesel and eventually a near-500bhp new M3 super-saloon. The 330i will be one of the more potent petrol-powered variants, and it has plenty of get-up-and-go on the road – although its synthesised engine noise still sounds contrived to our ears and as often detracts from the sporting appeal of the driving experience as much as it enhances it. But while the four-cylinder engine has the muscle to back up the M Sport’s looks, it’s the car’s ride and handling that really set it apart from the current version. Having worked intensively on the 3 Series’ M Sport suspension set-up, BMW has switched the car onto firmer springs than the current M Sport 3 Series and also adopted clever dampers that provide an increased level of body control – but only at the extremes of suspension travel. They allow the 3 Series to ride in a fairly comfortable fashion over smaller lumps and bumps while also being able to resist bigger movements, and deal with bigger dips and bumps at high speeds, very well. The car is far from limo-like in terms of ride quality; you’re often aware that the suspension is working away busily. But the associated vibrations seem to be contained quite well within the car’s wheel arches and don’t disturb those inside too much. The car avoids the jiggly, overly controlled ride that plenty of similar sports saloons have and copes well with a wide variety of surfaces. Given the popularity of M Sport trim in the UK, this is very encouraging for buyers who love their big wheels and racy bodykits. Another key hardware change made by BMW here is the addition of an electronically controlled limited-slip rear differential, which gives more traction out of tight corners, especially in slippery conditions. While you’ll see plenty of them on full-fat BMW M cars and AMG Mercedes, they are rarely seen on a mid-level saloon such as this. 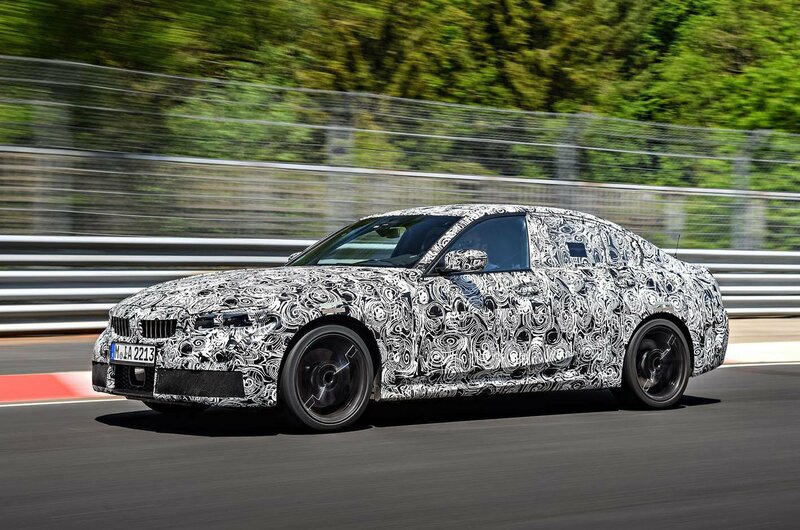 We’ll have to wait to tell how much difference the fancy diff makes to the car’s handling when it’s pushed to the limit, though, because the tuning of some of BMW’s driving modes weren’t finished on our prototype at the time of our test. That meant we couldn’t test the car’s stability and handling behaviour as thoroughly as we would have liked to. On the strength of the modes that were finished, the car seemed stable and secure but, though grippy and agile, perhaps not quite as light on its feet as the Giulia. The 3 Series may have been the default sporting executive for years, but the competition is tougher than ever in this class.